4550501 100 VJR Evolution MANITOU 100 VJR Evolution Access platform. Spare Parts Catalog. Service (workshop) Manual. Operator's Instruction Manual. 4550502 100 VJR Evolution MANITOU 100 VJR Evolution Access platform. Spare Parts Catalog. Service (workshop) Manual. Operator's Instruction Manual. 4550503 100 XEL MANITOU 100 XEL Access platform. Spare Parts Catalog. Service (workshop) Manual. Operator's Instruction Manual. 4550504 100 XEL MANITOU 100 XEL Access platform. Spare Parts Catalog. Service (workshop) Manual. Operator's Instruction Manual. 4550505 105 VJR MANITOU 105 VJR Access platform. Spare Parts Catalog. Service (workshop) Manual. Operator's Instruction Manual. 4550506 105 VJR 2 MANITOU 105 VJR 2 Access platform. Spare Parts Catalog. Service (workshop) Manual. Operator's Instruction Manual. 4550507 110 VJR 2 MANITOU 110 VJR 2 Access platform. Spare Parts Catalog. Service (workshop) Manual. Operator's Instruction Manual. 4550508 120 AETJ Compact MANITOU 120 AETJ Compact Access platform. Spare Parts Catalog. Service (workshop) Manual. Operator's Instruction Manual. 4550509 120 AE MANITOU 120 AE Access platform. Spare Parts Catalog. Service (workshop) Manual. Operator's Instruction Manual. 4550510 120 AETJ MANITOU 120 AETJ Access platform. Spare Parts Catalog. Service (workshop) Manual. Operator's Instruction Manual. 4550511 120 XEL MANITOU 120 XEL Access platform. Spare Parts Catalog. Service (workshop) Manual. Operator's Instruction Manual. 4550512 150 AETJ C MANITOU 150 AETJ C Access platform. Spare Parts Catalog. Service (workshop) Manual. Operator's Instruction Manual. 4550513 150 AETJ L MANITOU 150 AETJ L Access platform. Spare Parts Catalog. Service (workshop) Manual. Operator's Instruction Manual. 4550514 150 AET 2 MANITOU 150 AET 2 Access platform. Spare Parts Catalog. Service (workshop) Manual. Operator's Instruction Manual. 4550515 160 ATJ MANITOU 160 ATJ Access platform. Spare Parts Catalog. Service (workshop) Manual. Operator's Instruction Manual. 4550516 160 ATJ PLUS Euro 3 MANITOU 160 ATJ PLUS Euro 3 Access platform. Spare Parts Catalog. Service (workshop) Manual. Operator's Instruction Manual. 4550517 165 ATJ MANITOU 165 ATJ Access platform. Spare Parts Catalog. Service (workshop) Manual. Operator's Instruction Manual. 4550518 170 AETJ L MANITOU 170 AETJ L Access platform. Spare Parts Catalog. Service (workshop) Manual. Operator's Instruction Manual. 4550519 171 AET MANITOU 171 AET Access platform. Spare Parts Catalog. Service (workshop) Manual. Operator's Instruction Manual. 4550520 180 ATJ MANITOU 180 ATJ Access platform. Spare Parts Catalog. Service (workshop) Manual. Operator's Instruction Manual. 4550521 180 ATJ Euro 3 MANITOU 180 ATJ Euro 3 Access platform. Spare Parts Catalog. Service (workshop) Manual. Operator's Instruction Manual. 4550522 200ATJ MANITOU 200ATJ Access platform. Spare Parts Catalog. Service (workshop) Manual. Operator's Instruction Manual. 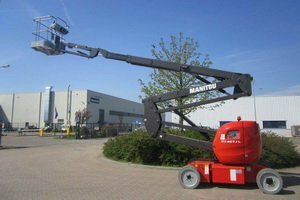 4550523 60V MANITOU 60V Access platform. Spare Parts Catalog. Service (workshop) Manual. Operator's Instruction Manual. 4550524 78 XE MANITOU 78 XE Access platform. Spare Parts Catalog. Service (workshop) Manual. Operator's Instruction Manual. 4550525 80 VJR MANITOU 80 VJR Access platform. Spare Parts Catalog. Service (workshop) Manual. Operator's Instruction Manual. 4550526 80 VJR Evolution MANITOU 80 VJR Evolution Access platform. Spare Parts Catalog. Service (workshop) Manual. Operator's Instruction Manual. 4550527 80 XEL MANITOU 80 XEL Access platform. Spare Parts Catalog. Service (workshop) Manual. Operator's Instruction Manual. 4550528 81 XE MANITOU 81 XE Access platform. Spare Parts Catalog. Service (workshop) Manual. Operator's Instruction Manual. 4550529 D80 ER MANITOU D80 ER Access platform. Spare Parts Catalog. Service (workshop) Manual. Operator's Instruction Manual.